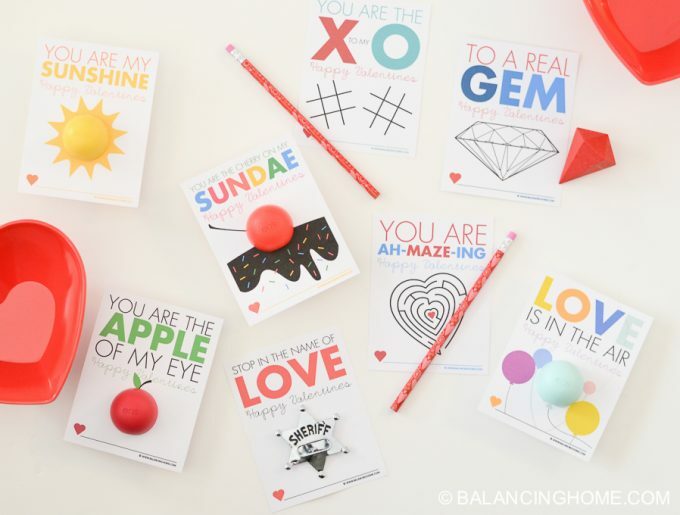 Spread the love with this EOS Valentine printable. 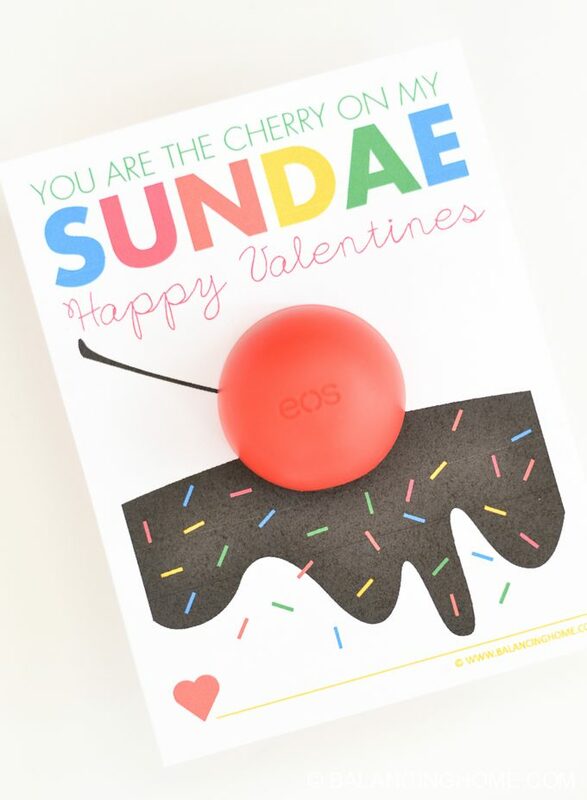 This adorable sundae is topped with and EOS lip balm as a cherry! 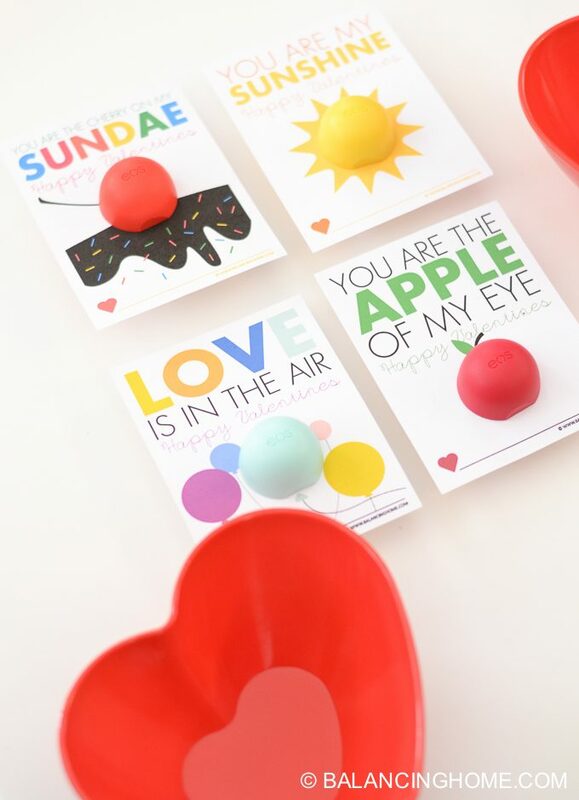 Part of an EOS lip balm printable Valentine collection. 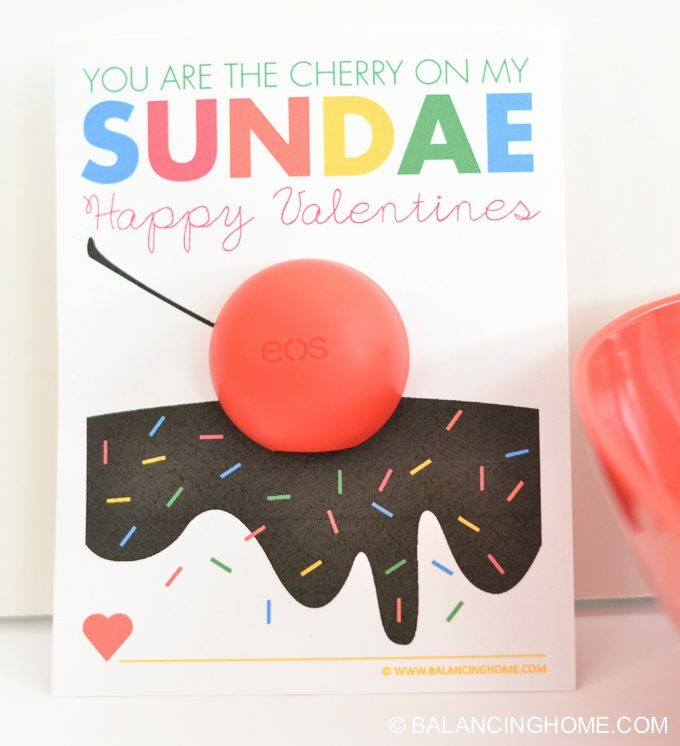 The EOS lip balm Valentines make up half of our non-candy Valentine collection. 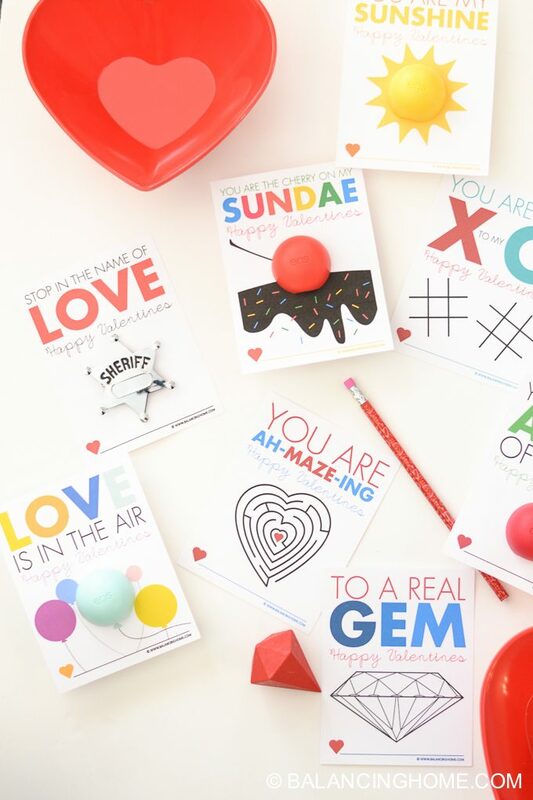 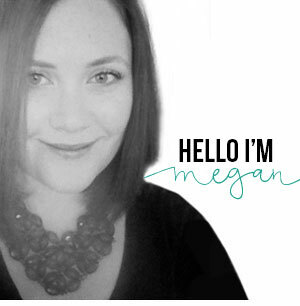 This printable is set to print four to a page, with all of the cut lines set up for you! 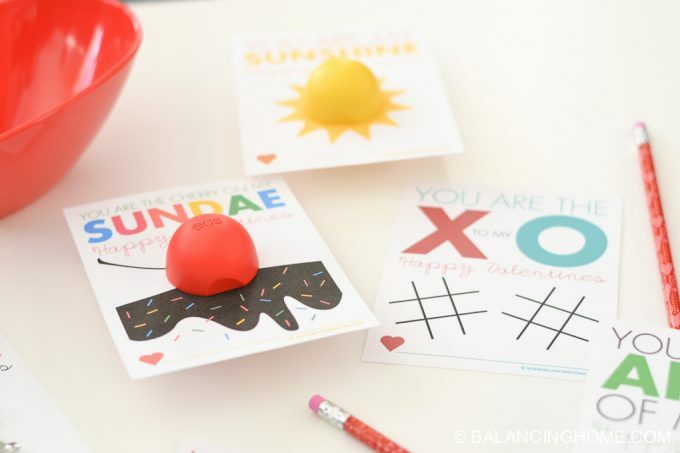 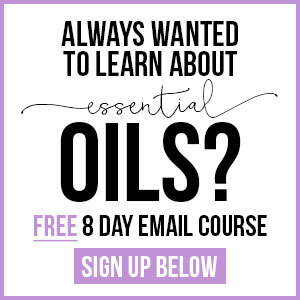 Simply cut the circle out, open the EOS lip balm, pop it in the hole and close it with the paper in the middle. 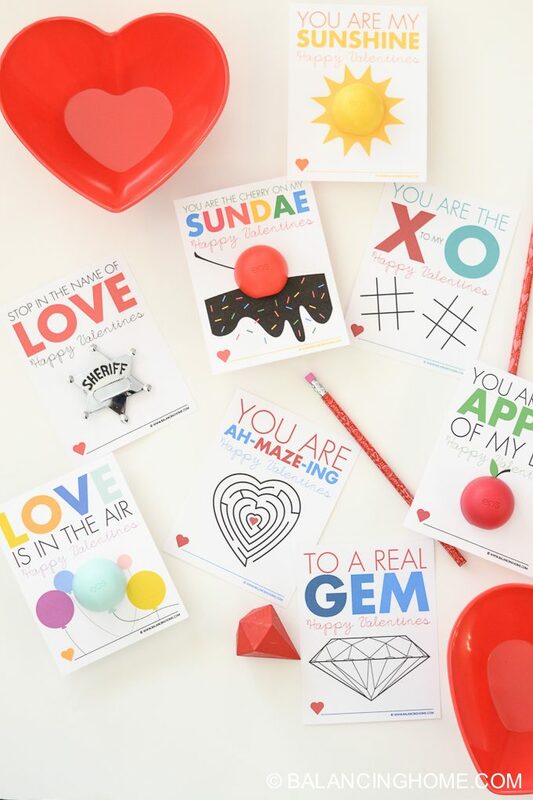 Love is In the Air, To a Real Gem, You Are My Sunshine, You Are the Apple of My Eye, Stop in the Name of Love, You are the X to my O, You Are Ah-MAZE-ing. 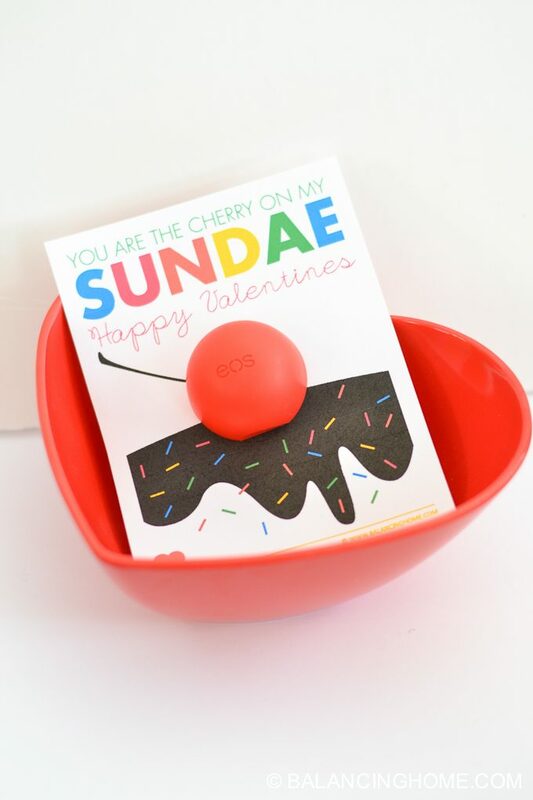 Find, You are the Cherry on my Sundae Valentine by clicking on the orange box below!